Restless, curious, slow starters, adventurous spirit animal, sarcastic sense of humour and outrageous, that’s what define a Gemini person personality traits. They enjoy hardships and take pride in rising to the occasion. There is no stopping to the brutal juggernaut they possess within. So, presenting the story of a Gemini crusader Novak Djokovic, his sloppy muddy childhood struggles to reach the top cliff of success. We welcome you to the tales of Serbian superhero Novak Djokovic. It was the summers of 87. A boy was born to father Srdjan and mother Dijana in Belgrade, Serbia. He was born special, a tennis prodigy waiting for a mentor to spot his immeasurable talent, like an I pad among computer scraps waiting for the user to use its advanced features and software’s. 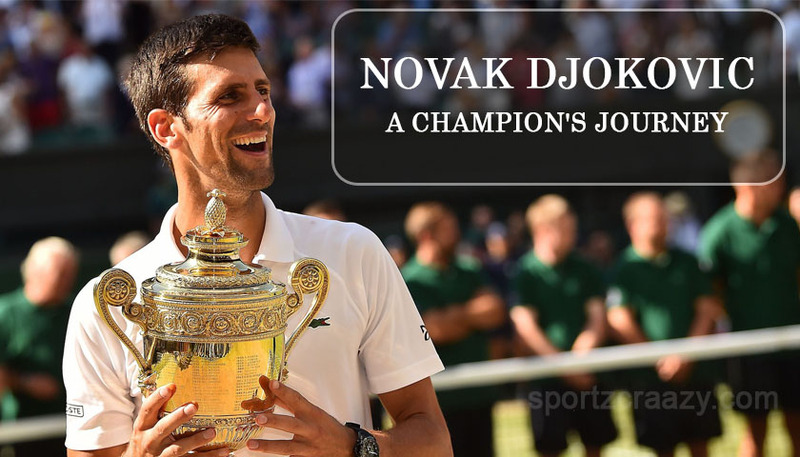 It didn’t took long, in 1993, a Yugoslavian tennis legend Jelena Gencic spotted the success architecture in 6 years old Novak Djokovic and trained him for the next 6 years. Special talent emerges from unorthodox situations, the Serbian was no exception. Yugoslavia was going through a streak of wars for independence and insurgencies in 1994, not an ideal platform to learn sport. Bombing could start at any time, Novak Djokovic and his family had to spend many nights in the basement. Some days he had to reach the training complex hiding, as bullet firing was always on the cards. The situations gave him the zeal and determination to pursue tennis as a career and unite the nation as one, putting a bog font full stop to wars. When he was entering the interesting age of puberty (13), he was sent to Pilich academy in Munich, Germany for international training and to compete with the bests in the international circuit. He became pro at the age of 15. His accolades, career statistics and grand slams won are easily available on the internet and will be mentioned at last as a tribute to his accomplishments, but the article is about bringing never before seen/heard stories in main frame. The ghost of match fixing is like extra marital affair, it break the relationship with lose- lose situation for all the parties. Unconditional love poured and utmost mutual trust makes the players and crowds the two sides of the same coin. Both co-exist in each other territory. 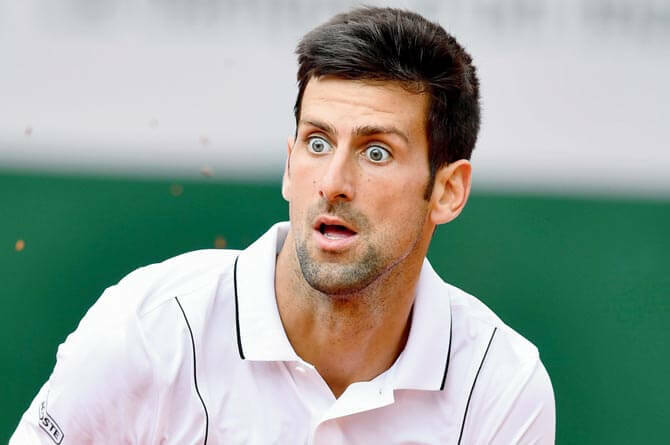 The entire tennis fraternity was in a state of shock, when Novak Djokovic tells the media of being approached by match-fixers and was offered $200,000 to fix a match in 2006. He was tempted to throw a first round match in St. Petersburg, which he didn’t attend in 2006. He said “I was not approached directly. Well … I was approached through people that were working with me at that time, that were with my team”. As the phrase goes “Behind every successful man, there is a woman”, the love story of Novak Djokovic and Jelena Ristic is no less than the fictional love story of Spiderman and Mary Jane. They were high school lovebirds, if believed it was love at a first sight. They both met in 2005. “Airplanes were, at the time, something utterly out of our reach. We contrived and devised these plans how to meet, how to make our relationship work”. Finally, in September 2013 the couple got engaged and later married on July 10, 2014. The serb is allergic to gluten and had to suffer many mid matches collapses and fatigue during the match. 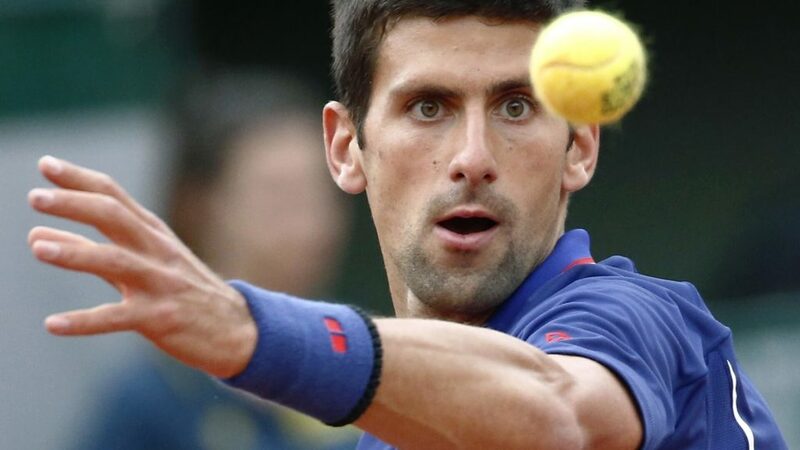 Eventually, when he consulted with the nutritionist Dr Igor Cetojevic, he asked him to go through some blood tests.The test found that Djokovic is susceptible to gluten, a protein found in wheat and grains and advised him to change his diet. During the matches, he had breathing issues and frequent vomiting between the matches due to gluten. Within a year, after strict diet and physical training, the Serb legend has finally decoded its version 2.0. His diet comprises of vegetables, nuts, fish, fruits, lentils, beans, white meat, etc. There is a reason, why spectators, fans and greats of the game call him Djoker. 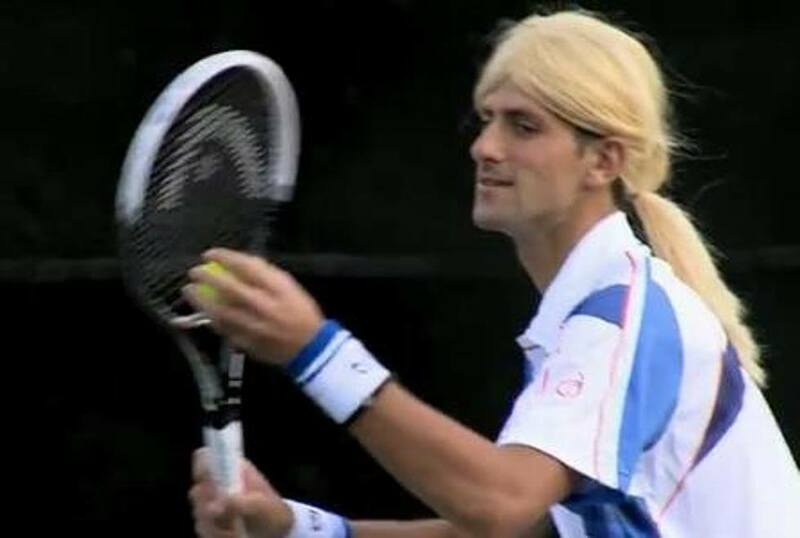 He can mimic tennis stars like Maria Sharapova, Andre Agassi, Rafaeal Nadal & John Mcenroe. He is widely famous for his sarcastic jokes with the fellows off the court, an out and out prankster by nature. Watch the video below. Novak Djokovic has featured in play me may be, a Carly Rae Jepsen Call Me Maybe Music Video Parody. He was also seen in music video Hello by Martin Solveig. He even featured in the movie Expendables 2. He was won the Australian open six times. He consecutively won the title between 2011-2013 and 2015-2016. His winning percentage is 88%. He has won the US Open twice. He won the title in 2011 & 2014, taking his winning percentage to 86%. 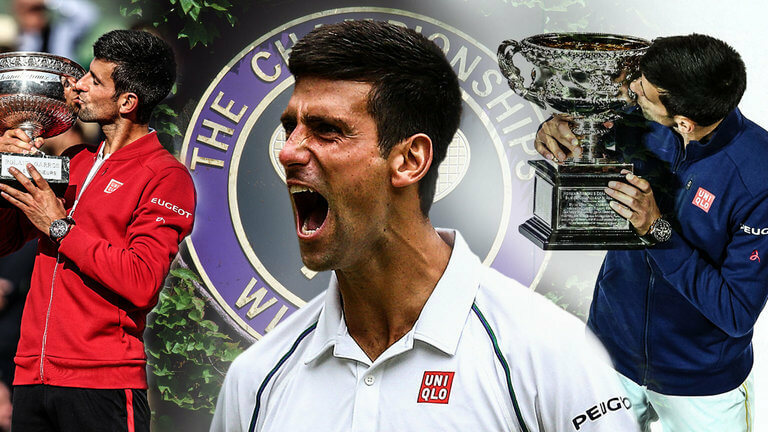 He has lifted the Wimbledon title four times. He won the title in 2011, 2014, 2015 &2018. He has won Laureus World Sports Award for Sportsman of the Year in 2012, 2015 and 2016. Novak Djokovic was written off by many sports cognoscenti’s, but the Serb tornado is back with a bang. He recently wrote an open letter on his website revealing his drop of motivation after suffering from career threatening elbow injuries, keeping him way for almost a year. He has described his mental paradoxes and overcoming them by making a lavish comeback at Wimbledon 2018.